Country music’s most famous brand is coming to New York City. Ryman Hospitality Properties, Inc. has unveiled its plans for Opry City Stage, the Grand Ole Opry’s first “home away from home,” a four-level entertainment complex on historic Broadway in Times Square. Set to open in April 2017, Opry City Stage will share the best of Nashville food and music, including live entertainment, simulcast performances from the Grand Ole Opry House and more in a two-floor bar and restaurant space. A world-class listening room and private event space will occupy the fourth floor, and the ground level will hold the complex’s retail area featuring many of Nashville’s signature brands. The fourth-floor listening room will feature an array of programming, including curated performances from Music City’s famed songwriting epicenter, the Bluebird Cafe, made possible by a licensing agreement between Ryman Hospitality Properties and the Nashville Songwriters Association International. The relationship extends beyond the Times Square property to include future venues, touring products, sponsorships, and ecommerce opportunities. 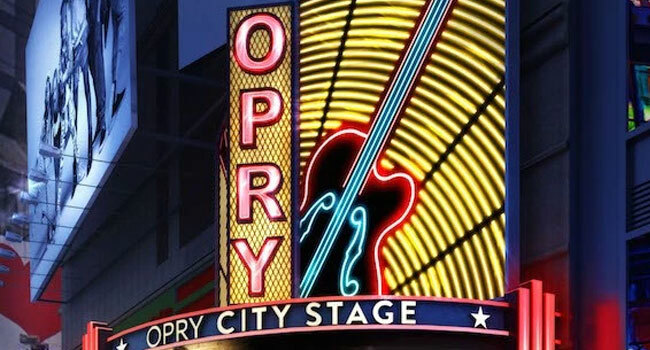 Opry City Stage Times Square will be opened by a joint venture partnership with New York City-based SPK Hospitality Group LLC.